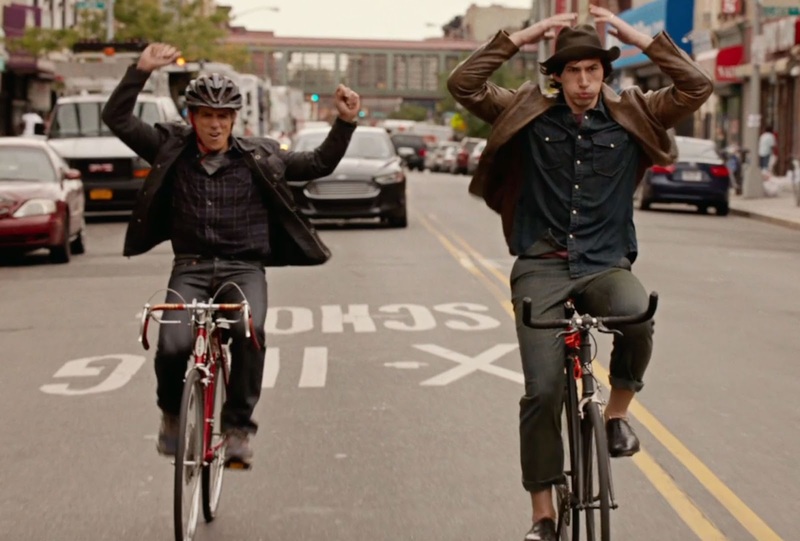 Noah Baumbach takes a colorful and tender approach to generational ambition in his film, While We’re Young. It explores the themes of rejuvenation, jealousy, skeptical admiration, and unrelenting youth. In their forties, Josh and Cornelia (Ben Stiller and Naomi Watts) grapple with the inescapable quirks of aging. Along the way, they meet a young, hip couple who emit a fulfilling presence, and it inspires them. With comical musings, glorious fedora hats, and artisanal ice cream, the charm in this film is unparalleled. In the beginning, Josh and Cornelia ponder the idea of going on a spontaneous trip abroad, but last minute planning just turns them off. Their marriage is on the rocks as they find themselves bored, muddling through the hurdles of getting older into a muted lifestyle. Josh is a documentary filmmaker whose been stuck on a project for the last decade now, struggling artistically. Cornelia is a producer whose father is a renowned documentary filmmaker. After failed tries at having kids, they decided to not have children. With this reluctance, they’re seeing their best friends have kids and live their established lives as working forty-somethings starting families and such. They come to meet Jamie and Darby (Adam Driver and Amanda Seyfried), a young married couple who listen to vinyl, play board games, and seem to have happiness by the snap of a finger. Immediately, Josh and Cornelia are captivated by them as if they’re a young species of relaxed and successful beings. Sure, the hipster vibe is strong, but Driver really nails it down here as an ambitiously clever, aspiring filmmaker himself. He injects himself into Josh’s life by finding him and his obscure past work through eBay. The couples form an unlikely friendship and Josh begins to fall in love with Jamie’s wit and drive to create new content, no matter where it stems from. Cornelia is amused with how carefree Darby is and how much life it has put into her own perspective in things. I have to say, the film sort of loses me in the later half. While still entertaining, it takes a leap of faith in its story line and dives into a more divisive flow of events. It becomes more of a ethical challenge between characters as Jamie is questioned on his filmmaking ways. An increasingly frustrated Josh tries to understand how a young Jamie achieves recognition for the kind of work it’d take Josh longer to grasp. Baumbach intends to have us overlook the rough patches. He wants us to see more of Josh’s grapple with his disbelief of how some success is earned. It challenges the attitudes of personal gain and the struggle of attaining success, no matter your age. Because of a fun and absorbing first half, I’m willing to not be too confused with Baumbach’s creative choices. Stiller’s character is both stubborn and redeeming toward the end. I’m happy it at least ties any loose ends with the situational drama. When it comes down to it, While We’re Young is such a delight of a film with heartwarming comedy and a canvas of warm colors. It respectfully shows us the obstacles of aging gracefully and the sophisticated living of youths with relentless desires. I’m with you on this.. I didn’t enjoy it all that much and especially the latter half also. Yes! Totally loved the vibe in general, though.